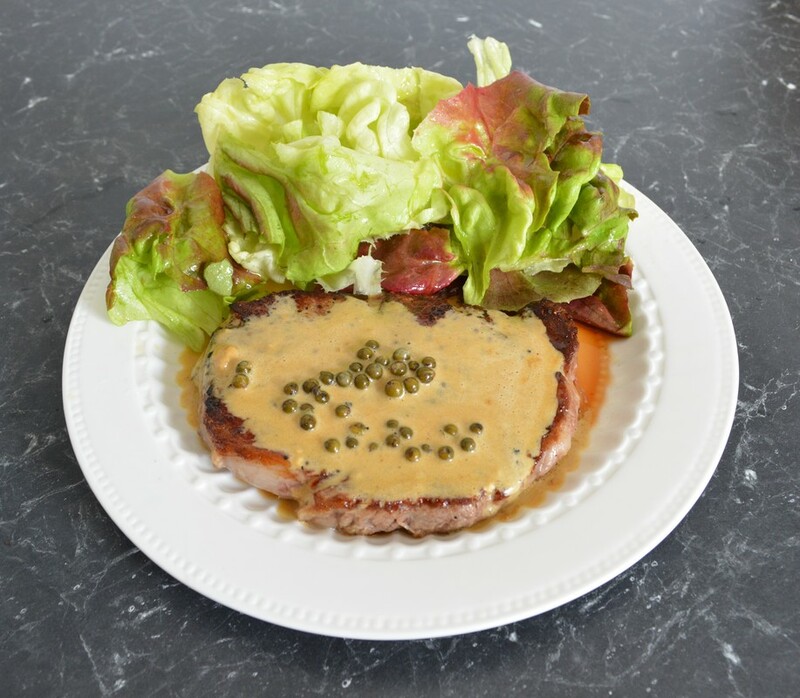 The Green Peppercorn Sauce is one of my husband's favourites. So one day he asked if I could make it for him. This is the recipe I found, I have now made it quite a few times, and my husband loves it. This is a great sauce to serve with a steak. Try and take your steaks out of the refrigerator 1 hour before you cook them. This makes cooking times more accurate. If you do cook it fridge cold, you will need to cook the steaks longer. I love it with a green salad, but it is also perfect with creamy potatoes or hot chips. A simple, fast but really tasty meal. You should try it. If you have time, take the steaks out of the refrigerator 1 hour before you will cook them. Brush the steaks with olive oil, season with salt and pepper. Heat a large frying pan over high heat, when hot, add the steaks, cook for 2 minutes on each side for medium-rare (cook each side longer if you prefer). Cover loosely with aluminium foil while you prepare the sauce. Add the wine and beef stock to the frying pan, bring to a boil, cook until reduced by half. Reduce the heat to medium, add the peppercorns, then whisk in the mustard and cream. Simmer for 2-3 minutes or until the sauce thickens slightly. Place steaks on serving plates, spoon over the peppercorn sauce. Serve immediately with a green salad.